I think there’s a couple more months ahead, or even longer than that, before readers and even myself get used to the fact that I now like Lee Jong Seok. It’s currently like and not yet love so I sure hope his next drama Pinocchio with Park Shin Hye won’t suddenly tank my existing good will for him. Still can’t logically explain why I like him after what so many of his fans think is his worst drama to date in Dr. Stranger. Sure the narrative was a big mess for various reasons but none of it was his fault. He made the drama for me initially with how he portrayed the sane and intriguing version of Dr. Park Hoon, so much so later even when his character did things that made no sense I was still coasting on the initial concept hoping to see it through to the end. It’s a shame his character had to spend most of the episodes sporting a fried perm mop and some seriously fugly ripped threads. I like seeing him all cleaned up and like a nice boy next door but with some male super model louche appeal. His popularity is no joke as he graces the pages of two more popular Korean magazines for October. Most actors and actresses are lucky to get one magazine spread every few months and a few extra when promoting a drama or movie, whereas I feel like he’s in a publication every month this year, and maybe the same was true last year as well but I simply didn’t follow his career. 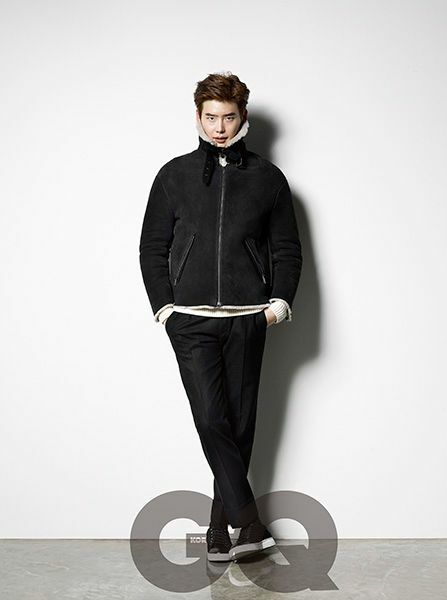 The GQ spread is already aimed for early Winter and the only thing going for it in stylistic appeal is Lee Jong Seok’s engaging connection with the camera. The Nylon photo shoot is much more indicative of that edgy magazine’s fashion forward sense and one shot in particular looks straight out of a Japanese couture magazine. Enjoy well-styled Jong Seok for now because his character in Pinocchio is supposed to be an unkempt reporter who is devoted to his job. He looks so different with long hair! 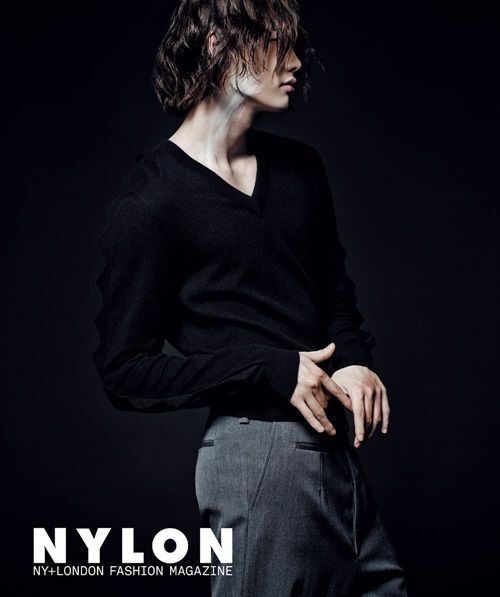 meanwhile, i’m really looking forward to the photobook that ceci is going to release for him! 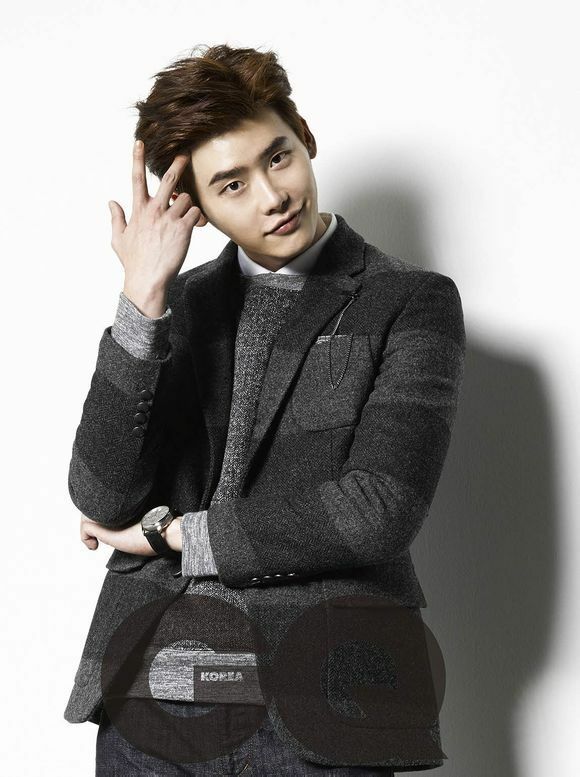 oh doses of jong suk, thank you koala sis! the nose again when will you stop people just enjoy the gift of heavens, or should I say the gift of nylon, gq and ceci spread this october. I look forward to Pinocchio too, but more for the second leads- Lee Yubi is so talented and lovely, it was time we saw her in something this year.